Symptoms and medication side effects associated with Lyme Disease and its treatment can support a finding of disabled by Social Security. If you have been diagnosed with Lyme Disease, you know that this condition arises from a deer tick bite. Since these ticks are very small, you may not even realize that you have been bit. You also may not develop the “bulls eye”rash or any rash that is often associated with Lyme Disease. According to LymeDisease.org, only 42% of people with chronic Lyme Disease reported a rash at all. Additionally, the severity of your symptoms may be associated with the length of time that the tick remains on your body. The Lyme bacteria is called Borrelia burgdorferi and when it gets into your bloodstream, it can affect any organ in your body as well as your brain, nervous system, heart, muscles and joints. If you have been outdoors in areas where deer ticks are commonly found and you can get to a doctor quickly, a course of strong antibiotics can often reduce symptoms. If you are not diagnosed for months or years, however, your symptoms can be very difficult to treat. 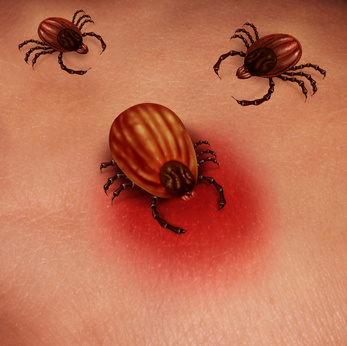 Infectious disease doctors are often a good resource for late Lyme Disease treatment. Social Security disability can find you disabled from Lyme Disease if your symptoms significantly impact your capacity to perform work. More specifically, we have to prove that your symptoms and/or medication side effects leave you without the ability to perform the duties of a simple, entry-level job 8 hours a day, 5 days per week. Argument 1 – Do you Meet Listing 14.09? If you meet or equal a Social Security listing, you will be found disabled quickly and often without the need for a hearing. A “listing” is made up of a detailed description of a specific medical condition that is serious enough to disable a claimant. Social Security has developed listings for hundreds of medical conditions – you can learn more about the listings at my website MeetaListing.com. Social Security uses the listings to shortcut the approval process. As noted, every listing level impairment is very serious – you won’t find many easily curable or treatable diseases in the listings book. Lyme Disease does not have its own listing, but Social Security will allow for a listing level approval based on the Inflammatory Arthritis listing (Listing 14.09). This listing describes inflammation or deformity of large joints that result on one’s inability to perform activities of daily living, maintaining social functioning or completing tasks in a timely manner. So, if your Lyme symptoms have settled in your joints, causing pain, inflammation or deformity, the 14.09 listing argument would be appropriate to use. Obviously large joint pain is very common among Lyme sufferers, but your primary symptoms may involve other body parts or body symptoms. In my experience, extreme fatigue, severe headaches and immune system impairment are just as common as joint pain. Social Security allows us to present multiple arguments supporting our claim for disability – whether at the initial or reconsideration stages, or at an administrative law judge hearing. My experience, by the way, has been that Social Security claims adjusters (called adjudicators) are not especially likely to issue an approval early on based on listing 14.09. Because Lyme disease is a type of “invisible illness” that rely on subjective complaints by claimants and credibility support from doctors, they are more likely than not to issue denials and let a judge make the call on whether or not to approve. In any case, if we end up in front of a judge, we can argue that your case meets or equals Listing 14.09 and that if it does not, you are disabled based on the limitations to your capacity to function at work (the functional capacity argument). When we put forth a functional capacity argument, we will ask the judge to consider all of your symptoms along with your medication side effects. We will ask the judge to listen to your testimony and find it credible and consistent with your doctor’s notes. We will also ask the judge to believe your doctor’s opinions (ideally in a functional capacity form) about how your condition significantly impacts your work capacity. So, for example, if your Lyme disease damaged your immune system, requiring lifelong immunoglobulin infusions, we can discuss the pain and discomfort of the infusions as well as side effects. If you are experiencing extreme fatigue, I would ask you to testify about your poor sleep and your need for rest periods during the day. I have even represented clients who have developed fibromyalgia following a Lyme infection, and we presented testimony about diffuse joint pain, fibro fog and GI symptoms. My experience has been that if you are claiming disability based on what amounts to a chronic, difficult to treat infection, we will need to present evidence of consistent medical treatment and compliance with your doctor’s orders. Currently, blood tests for Lyme Disease are inexact and not definitive. According to Lymedisease.org, blood tests are not especially effective for early infection and later infection tests look for antibodies as opposed to the bacteria itself. More often, infectious disease specialists make their diagnosis based on your history (exposure to ticks) and your symptoms. Treatment may consist of trying different medications to control symptoms and it can take months or years to find treatment options that mitigate symptoms. My experience has been that the strongest cases involve years of trial and error treatments along with referrals to specialists or therapists to address specific symptoms. If you have been diagnosed with Lyme Disease and are experiencing complications that prevent you from working, I’d be happy to speak with you. Please reach out to me at 770-393-4985 or by using the contact form on this web page. Lyme Disease and Social Security Disability Case Study #1: 55 year old professional woman with late Lyme diagnosis and symptoms impacting her immune system, large joints and fatigue. This case resulted in a fully favorable decision.